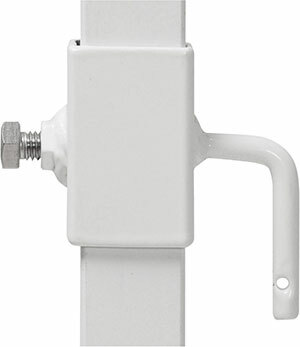 Mast Up Sailboat Mast Raising System is an easy mast stepping device and supports your mast while trailering or storing. Now just 2 people can raise any mast. Ideal for short handed mast raising. Fits virtually any boat with an outboard rudder (see the Mast Up Cockpit version for through-hull rudder boats). Mast Up telescopes to 9-1/2 feet. 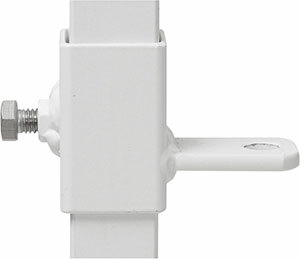 Mast slides easily on the built-in roller. Use on land or water. Fits any boat with either 5/16" or 1/2" pintels or gudgeons. Special orders are available. Choose either 5/16" or 1/2" pintels (the pin that fits into the hole of a gudgeon mounted on the stern of your boat) or 5/16" or 1/2" gudgeons (with holes that slide onto the pintel posts mounted on the stern of your boat). Basically you are matching the hardware on your rudder. So if you rudder has pintels (pins) or gudgeons (holes), then that is what to choose for your Mast Up. 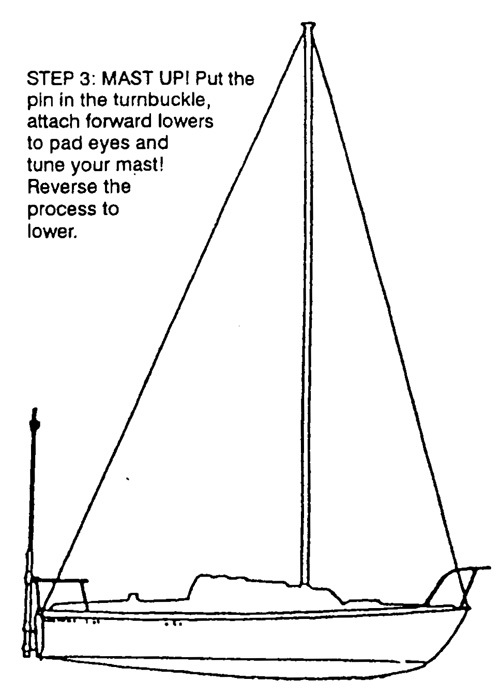 Storage: Mast Up holds your mast at the stern end for stowing and trailering. Secure mast to the bow pulpit. Step 1: Raise the Mast Up to its fullest height. 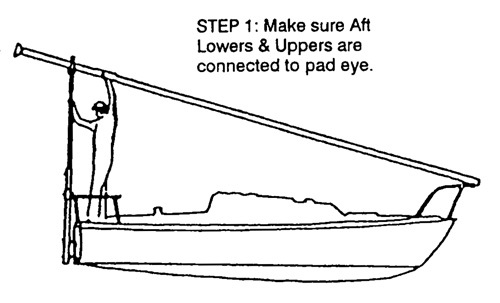 Make sure aft lowers and uppers are connected to pad eye. Step 2: Roll the mast back along the Mast Up until the base of the mast is at the mast step. 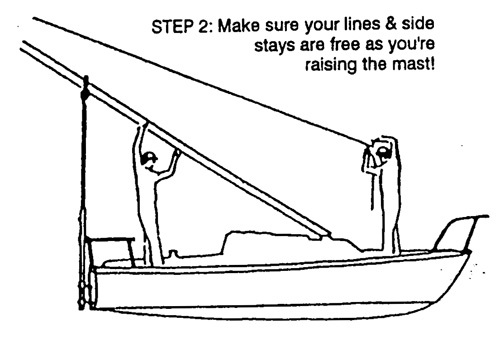 Making sure your lines and side stays are free, raise the mast! Step 3: Mast Up! Put the pin in the turnbuckle, attach forward lowers to pad eyes and tune your mast. Reverse the process to lower.